Hoo boy, this is rich! You’d think the conservative religious teabagging right already has enough to whine about, what with that uppity illegal immigrant socialist homo communist Obama destroying America and throwing grandma to the death panel. But now this guy Frederick Meekins has to go and pick on Quatchi. 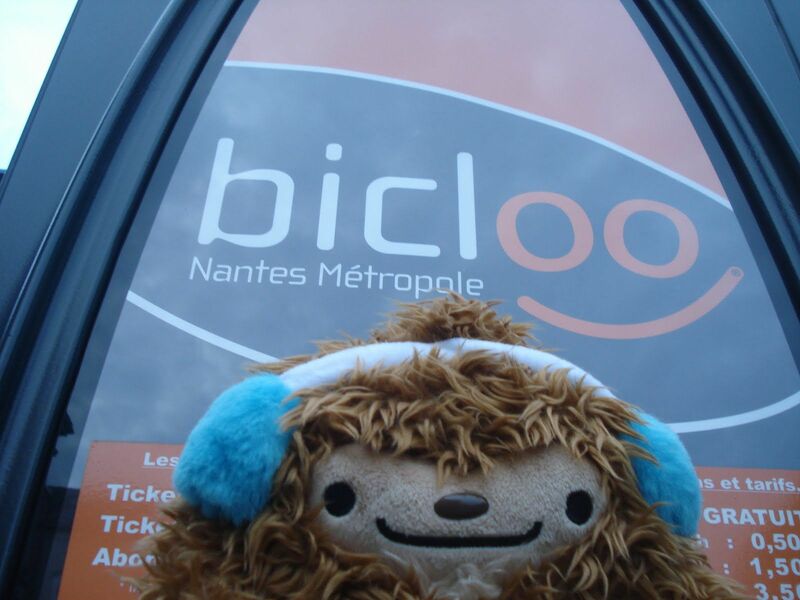 During each Olympiad, mascots are created as appealing embodiments of each unique set of games. For example, the 1984 Olympics held in Los Angeles were represented by Sam the Olympian, a bald eagle clad in red, white, and blue which alluded to Uncle Same [sic] and the highest ideals of the American people. Sam wore a striped bowtie, a red wifebeater, and no pants. It has been a quarter of a century since then and the practice continues. It is doubtful, though, parents with a lick of sense about them will be as enthusiastic about what is being pushed now as adorable imaginative companions… The first outrage is really more economic than anything else… No doubt, nice checks went to the firms and/or artists creating the mascots of the Vancouver games. I sure hope so — Meomi rocks! What the artists this time deserve are gold metals [sic] for the least amount work possible going into the artistic rendering of an Olympiad’s mascots. For example, Sam the Olympian was rendered with the skill, precision, and appeal for which 20th century Disney characters were noted and adored for by the public. One does not need to go into a lengthy backstory to figure out what Sam the Eagle is and what he stands for. Agreed. Sam was obviously an atheist who supported legalized marijuana and gay marriage. In fact, the firm that designed the characters should have been paid no more for these rendering [sic] than one would a doodler in a high school art class. In the high school art class I was enrolled in, one would have received a grade not much above passing had one handed in something looking as ridiculous and simplistic. “In fact”? If that’s the case, the A students’s work must’ve been brilliant! What becomes really questionable, however, is in regards to what the mascots represent. 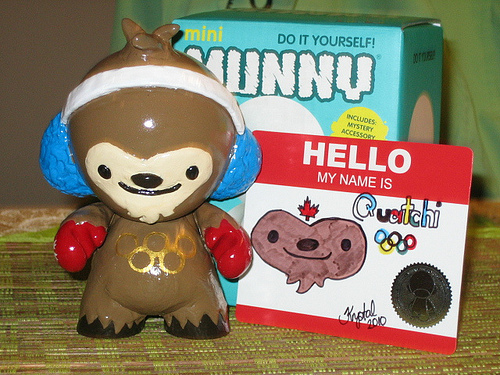 The following comes not from conservative or even Christian fundamentalist conspiracy theorists, but rather from the Wikipedia entry for the 2010 Winter Olympic and Paraolympic [sic] Games mascots… Of the trio, the most realistic is a Sasquatch named “Quatchi”. That isn’t too bad as for decades as the Sasquatch or Bigfoot has been a cryptozoological celebrity of the Pacific Northwest. If it’s on Wikipedia, it’s gotta be true. But it can be argued that Jesus is a cryptid celebrity too! However, it [sic] today’s world, it’s never enough to let characters be huggable and adorable in and of themselves. Why waste an opportunity to manipulate young minds away from the values decent parents are trying to inoculate into their children? 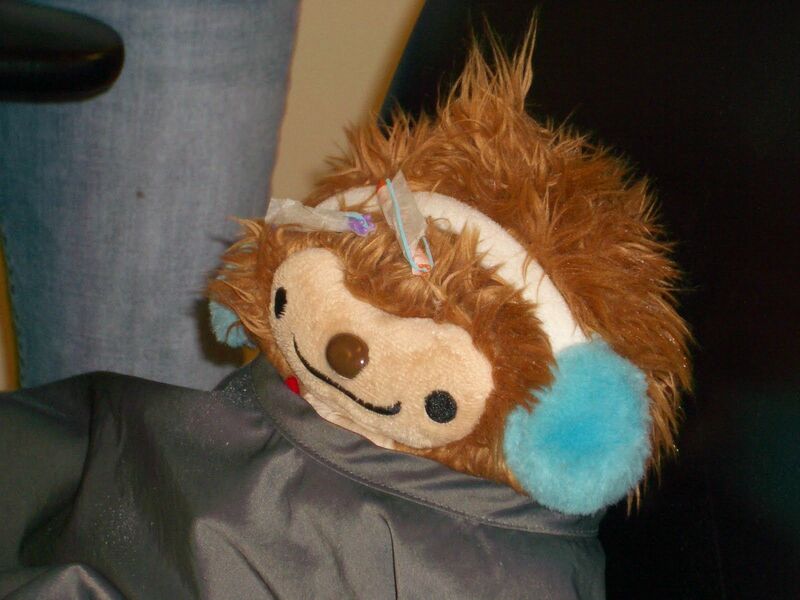 Those that look closer at Quatchi will notice that there is a tattoo on his bicep. With over a third of the population mutilated and defaced in this fashion, do children of the world really need additional peer pressure as to this questionable form of bodily ornamentation? 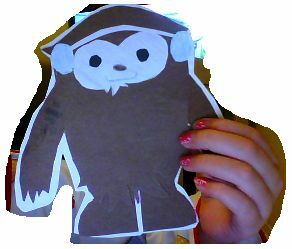 Is Quatchi really a “peer” of the children of the world? 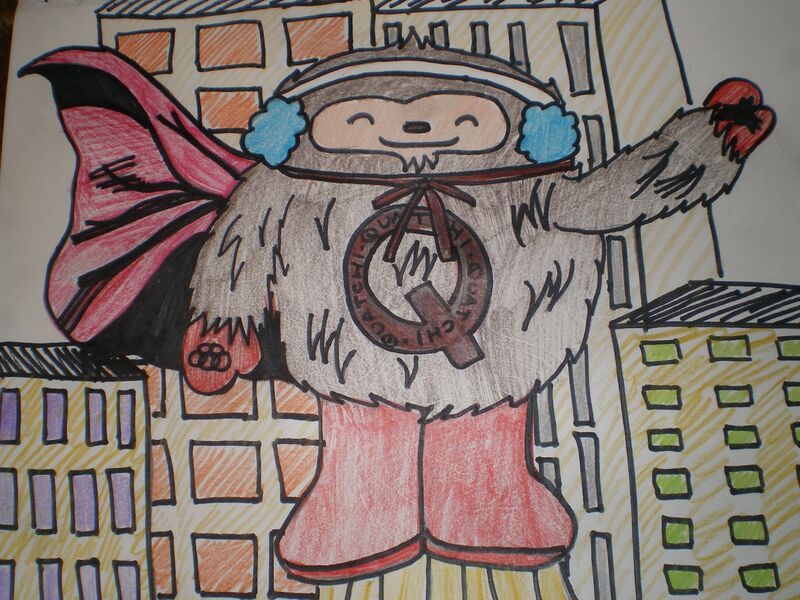 Regardless, I’ve also questioned Quatchi’s tattoo. Since fur can’t quite be tattooed, I figured his arm hair was dyed black in the shape of an Inukshuk (which, Meekins fails to mention, is clearly an occult symbol). Or maybe his fur was shaved in an Inukshuk shape, and then the exposed skin was tattooed, and then Quatchi kept shaving that area to keep the tattoo visible. 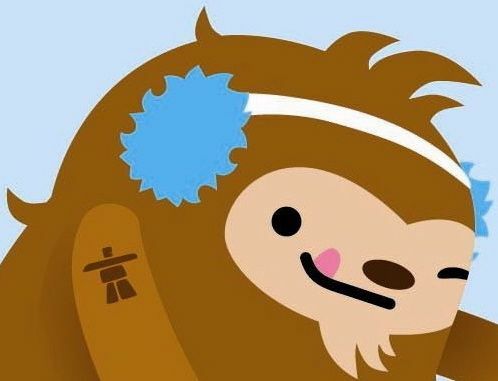 Unfortunately, Meekins didn’t include any photos on his post (or even any links), so I’ve provided a closeup of Quatchi’s supposed tattoo above… You’re welcome! If the bio-graffiti was not going to be noticed by spectators, the why did the artist take the time to add this particular design element? It takes so long to produce a finished artistic work that has to go through multiple editorial reviews that it is doubtful that any detail would be overlooked. And if the marking is not there for any particular reason, then why does it need to be there at all?… However, a tattoo strategically placed upon a mascot is not the only aspect about these characters designed to subconsciously lead Western children away from the values of their forefathers. For even though the games are presented as belonging to the world, only Westerners of a multiculturalist inclination would be deluded into thinking that Westerners wouldn’t be the only ones with enough leisure time to soak up the ambiance of the games as well as enough disposable income for all of the assorted trinkets pushed at spectators. After all, though they might excel at warm weather sports such as running, sub-Saharan Africans aren’t exactly renowned for their alacrity to ice and snow. It is quite obvious that a mascot with a Christian or even Hebraic background or origins would not be put up with. Damn straight! Baby Jesus would make a horrible Olympics mascot! If those trusted with overseeing this event insist upon pursuing a manipulative mysticism, those redeemed by the one true God should first and foremost boldly warn what is rally [sic] going on beneath all the pageantry and excitement. Only then is the individual able to make a truly informed decision in keeping with their conscience. In conclusion, before coming to a decision on the appropriateness of any Olympic mascot, make sure you are truly informed! Sadly, I’m unable to comment on Meekins’s original post (since I’m not a “team member” of his), nor can I find any contact information to alert him to this here post. Hey, Frederick Meekins — if you happen to read this, we’d love to hear from you! Still no word from Meekins, but he just posted the audio version of this rant here. 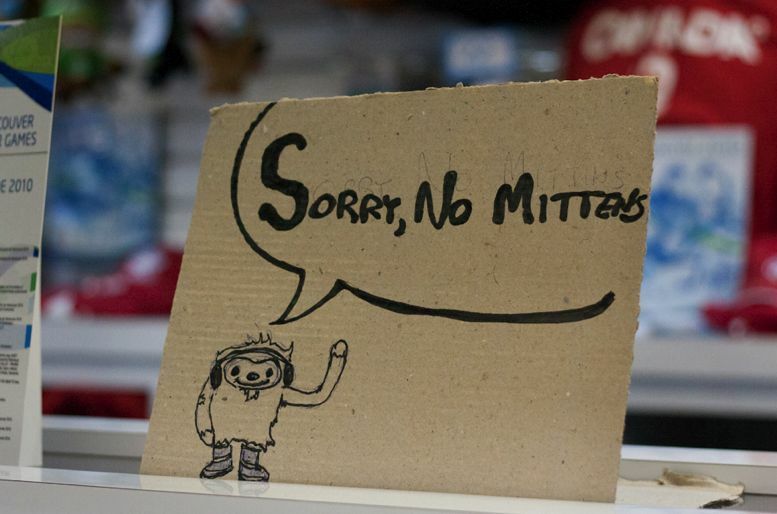 The Quatchi stuff starts around the 4:40 mark, and if you can stand it, he does this whiny, demented impersonation of a “free-spirited” person at the 5:50 mark. There are 100+ comments on the Meekins spiel at Fark. 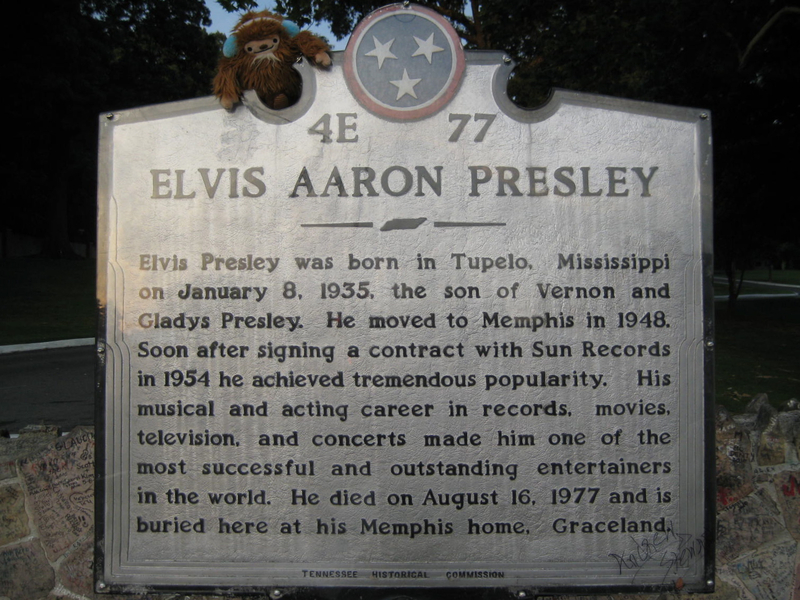 Here he is on this historical marker outside Graceland (we’re down in Dixie for the week). It was closed when we stopped by tonight, but we’ll take the tour tomorrow. Go to this site and then hit the space bar to look through images (by Penguinsrock).